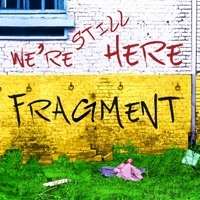 The story of the band "Fragment" condensed into 3 minutes of uptempo fun. This is Fragment's 40th year anniversary release! Yes. That’s right. 40 years! And we’re not done yet! To celebrate, Fragment have released a new single and video. Dave and Jono are very proud and slightly terrified to announce that this year, 2016, marks the 40th anniversary of the band Fragment. While still at school, they formed the band in 1976 with Tim Alexander among others. The rest, as they say, is history. One day, when they grow up, they might get proper jobs. Throughout the year, singles and videos will be posted on the band’s website and Facebook page.